Humax have launched a new slimmer, faster Youview box called the DTR-T2000 with 500GB hard drive which will bring faster start-up times and a smoother UK catch-Up service. The box replaces the higher priced DTR-T1010 and will cost UK £199 and offer a combination of live, on-demand and catchup TV using a revolutionary EPG that lets viewers scroll back in time. The hardware which offers a free option to watch online TV supplies the same 70 plus live broadcast channels as a Freeview HD box, along with online based content from the BBC iPlayer, ITV Player, 4oD, Demand 5, it also offers content from Dave, Yesterday, Really, S4C, Sky Store, Milkshake!, and STV in Scotland. The DTR-T2000 also comes equipped with a 500GB hard drive offering 300 hours of standard definition recorded TV or 125 hours of HD content. The Youview service was launched 2 years ago, and has suffered a number of problems culminating in being sued for using another companies name. The Humax YouView DTR-T2000can be picked up from Humax direct as well as retailers that include John Lewis, Tesco, Argos, and Currys PC World. In a bid to keep up with the times, and following the popularity of Netflix, the BBC are revamping the iPlayer catch-up TV service to include live TV, on-demand, and online only content. The updated iPlayer details have been revealed by the BBC and it will feature a responsive design that adapts depending on what device is being used and what content is being demanded. The new iPlayer will feature a more in-depth recommendation service for the estimated 42% of visitors who use the service withpout knowing what they want to watch. Searching for programs will also be easier with the improved search feature, and there will also be a new collections section highlighting archived content grouping content around particular themes. 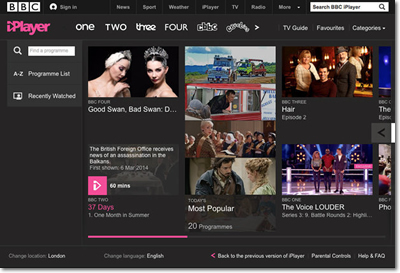 Analyst at CCS Insight, Paolo Pescatore told the BBC that the new design was intended to make the iPlayer more like popular on-demand service Netflix. “The aim of this move is to ensure that the BBC’s own offering stands out from the crowd and to provide a more simple user experience to discover and access its content,” he said. 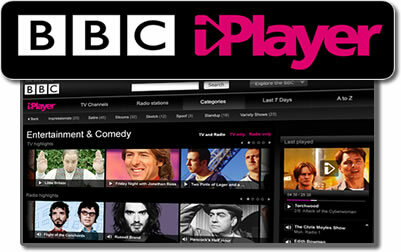 The new iPlayer will launch first for web browsers on PC and laptop, along with some Smart TV’s. And a new app will launch for mobile devices soon. 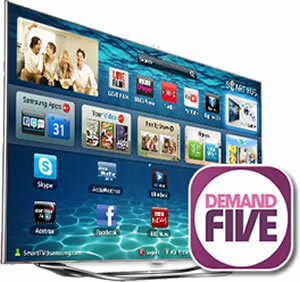 Owners of Sony Smart TVs can now catch-up on Channel 5 content in the UK, after the launch of the Demand 5 TV app. The app will work on is now available on all 2012 and later Sony Smart TV sets and was developed by Massive Interactive, who have also launched the app for game consoles, Xbox One and PS4. Speaking about the release, MD of Massive Interactive, Kieran Bresnan said, “We are very pleased to have launched another Demand 5 application with Sony. The successful delivery of another Demand 5 application continues to demonstrate Massive’s ability to deliver high performing and rich UI experiences on a wide variety of devices regardless of the underlying middleware stack”. 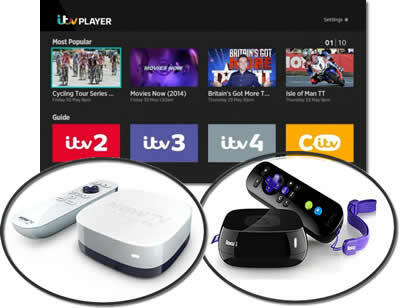 The Demand 5 service lets viewers catch-up with 30 days of already broadcast Channel 5 content via streaming on a number of connected devices.